This is a group of undergraduate and graduate piano students at Brandon University who have studied with Professor Megumi Masaki. Chet Atkins finger pickin` guitar instrumentals, country and 60`s Rock classics, folk, yodelling and clogging! Tickets at the door are $15.00 adults, $10.00 students. Celebrating music at its best from the classics to broadway and beyond with award winning performances by Humboldt Music Festival vocal stars and an orchestra of professional symphony musicians. Jambo To The Jungle is a musical based on Aesop's fable The Lion and the Mouse. The style of this show is from the story-telling traditions of Africa, which includes music, chants, poetry and dance performed communally. 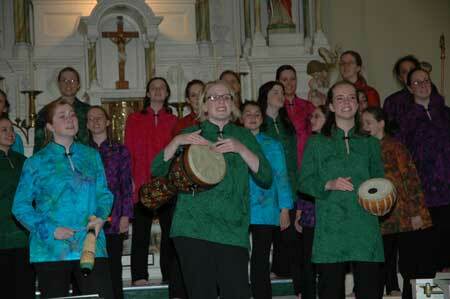 The production included children, aged 7 - 13 from approximately 15 communities, some coming from out of province. 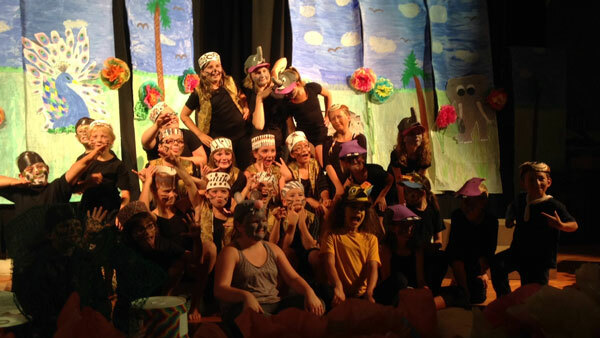 These children learned music, choreography, set design, costuming, and experienced the thrill of performing in a grand venue to a very appreciative audience. 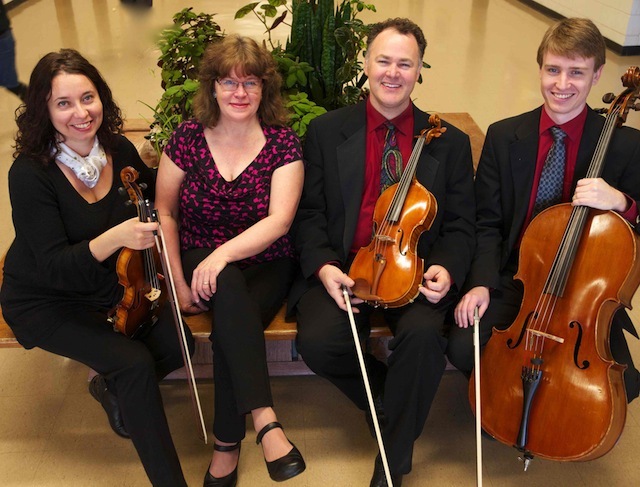 Marysburg Centre of the Arts and the voice teachers in our area are dedicated to creating music that crosses cultural, generational and ideological boundaries with and for children, raising awareness and funds for programs in music and mentoring throughout our surrounding communities. 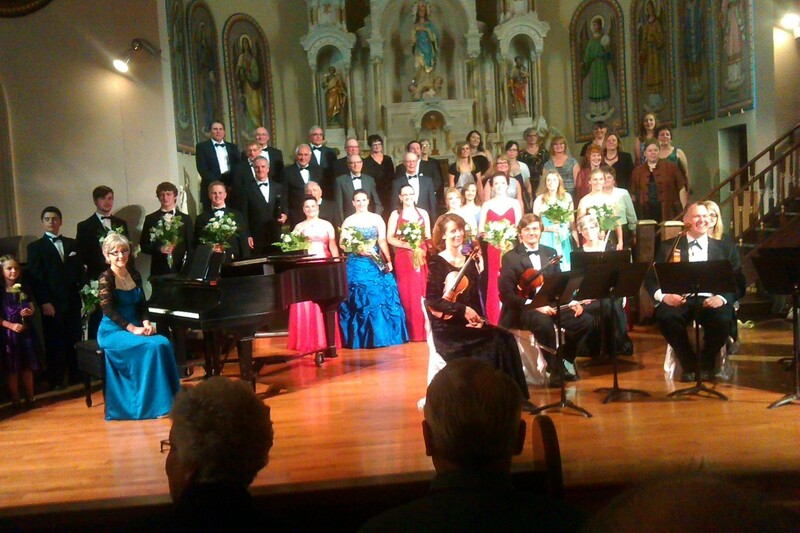 This concert featured vocal soloists who had done outstanding work at the Humboldt Music Festival. The students performed with piano and instrumental accompaniment as well as with members of the Marysburg Regional Chorus. 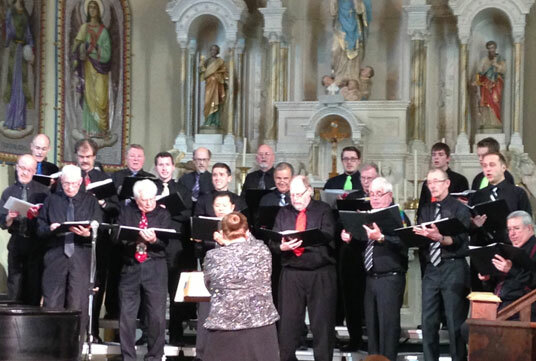 In 2011 a few men got together to create the Meota Men's Chorus to perform at a Christmas Concert. The effort was to raise funds for a local food bank. Under the leadership of Lisa Hornung they have since grown to a group of 24 men who gather weekly to rehearse and perform at various functions. Their chorus is made up of a number of soloists and talented musicians. They come from all walks of life and together share a similar passion for music. 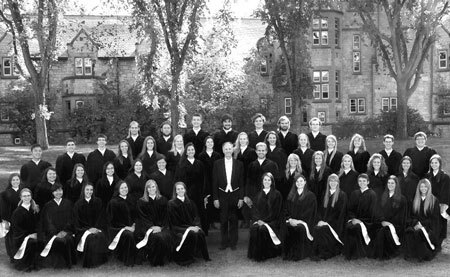 The Greystone Singers is a mixed-voice choir open by audition to all University of Saskatchewan students who love singing and enjoy learning a challenging and varied repertoire. Since 1958, when they were first organized, nearly two thousand young men and women have sung with this award-winning ensemble. This year's choir consists of forty-seven students from the Colleges of Arts and Science, Education, Engineering, Agriculture, Kinesiology, Edwards School of Business, Graduate Studies and majors in Drama as well as in the Department of Music. 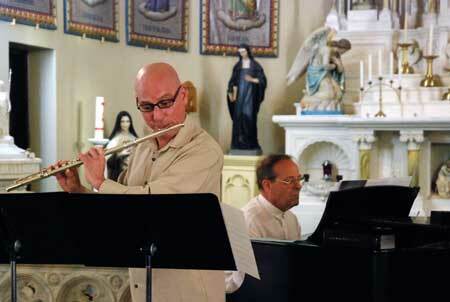 Marysburg Centre of the Arts sponsored a fund-raising event for Tenor, Spencer McKnight. Spencer grew up in LeRoy, Saskatchewan and began studying voice in 2008. He currently studies with Lisa Horning in North Battleford and works with collaborative pianist, Mark Turner, in Saskatoon. In June, 2013, Spencer was named the Saskatchewan representative for the Canadian National Music Festival in Waterloo, Ontario. 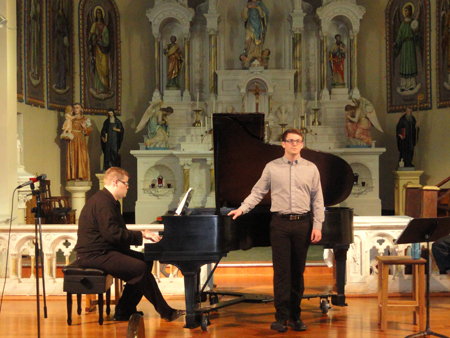 To help cover his expenses for the competition, Marysburg Centre of the Arts Board invited Spencer to perform at Assumption Church and gave him all the proceeds from the concert. At the National Competition in August, Spencer was the winner of the Jan Simons Memorial Award for Best Song Interpretation. Those of us who were lucky enough to hear him in July are in total agreement with that decision! Born and raised in Humboldt, Saskatchewan, Gerard Weber, came home on Sunday, May 5th, 2013 and performed for an audience of family, friends and fellow musicians at Marysburg Assumption Church. 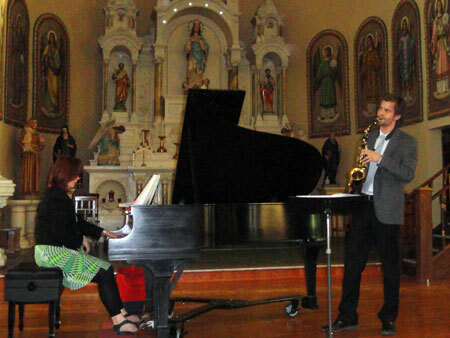 Gerard graduated from Humboldt Collegiate Institute in 2009 and spent the next four years earning a Bachelor of Music in applied study and performance in saxophone from the University of Saskatchewan in Saskatoon. He has won several awards and competitions at the local, provincial and national level. Gerard is now at the University of Florida in Gainsville working on a Master's Program in Saxophone Performance and Musicology. Gerard hopes to complete a Doctorate in the future and teach at a post-secondary institute. Choral music never sounded better than on the evening of Tuesday, February, 26, 2013 when the Vancouver Chamber Choir performed at Assumption Church in Marysburg. Conductor, Jon Washburn, and the choir of 20 professional voices performed an "A Cappella Panorama" of songs by Mozart, Schubert, Victoria and Rutter. The event was funded mainly by the Marysburg Centre of the Arts with sponsorship also coming from Three Lakes and District Performing Arts, St. Peter's Chorus and the Saskatchewan Choral Federation. 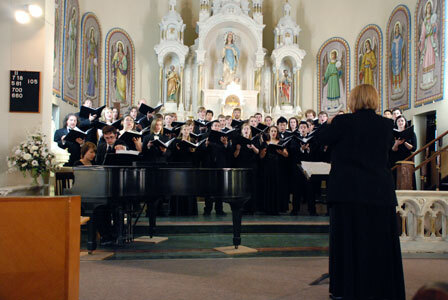 As part of the annual Marysburg Summer Festival of the Arts, the choir performed on June 25, 2011. Ross Carstairs studied flute with Jean Pierre Rampall in Nice, France; with Alain Marion in Paris; and with Louise Moyse in Boston. 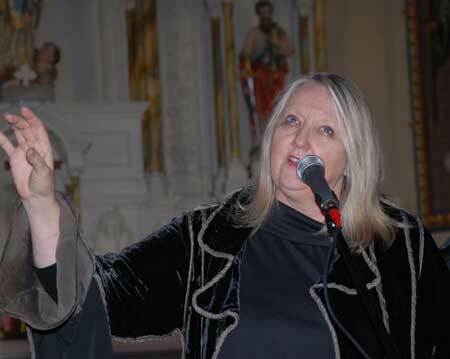 A native of Regina, Connie Kaldor has been performing for most of her life. Born into a musical family, she grew up singing in the local church choir which her Dad directed. Connie's Mom and twin sisters played piano and her brothers played guitar, tuba and trumpet. Featuring Sharon Carter, coloratura soprano and Sharon Guina, accompanist. With Rita Frank, soprano and Anna-Marie Moellenbeck, mezzo-soprano. Every two years, singers between the ages of 18 and 25 are auditioned across the country to form the National Youth Choir. 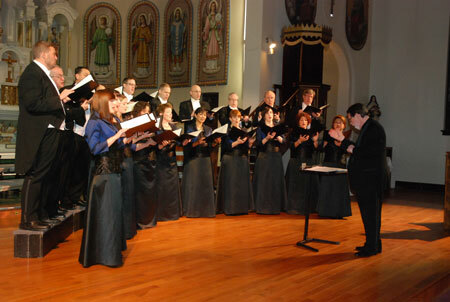 Initiated in 1984, the choir has won critical acclaim across Canada since its inception. 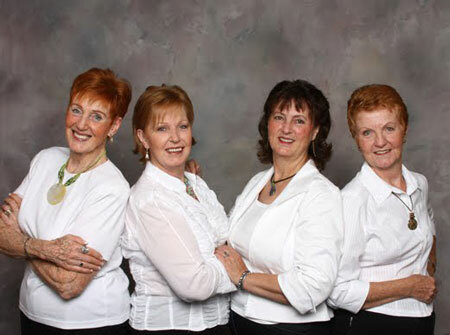 The five daughters of John and Cecilia Korte have graced the stages of the former St. Peter`s Colony for many years. 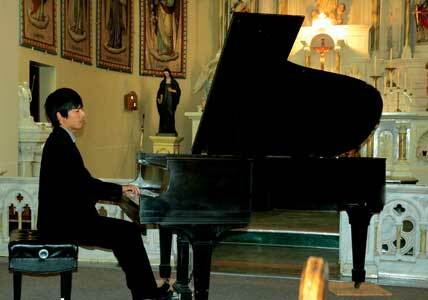 Canadian pianist, Thomas Yu, is one of the most versatile artists performing today. He has appeared as a guest soloist in such prestigious venues including Carnegie Hall (New York), Salle Gaveau and Salle Cortot (Paris), Bösendorfer Hall (Vienna), Forte de Copacabana (Rio de Janeiro), Chopin Music Academy (Warsaw), Hakuju Hall (Tokyo), Glenn Gould Studio (Toronto), National Arts Centre (Ottawa) and the Chan Centre for Performing Arts.